This father-son duo became International 14 World Champions after many years of dedicated campaigning in the class, beating off stiff competition in this renowned cutting edge development class from 62 other boats representing seven different nations. 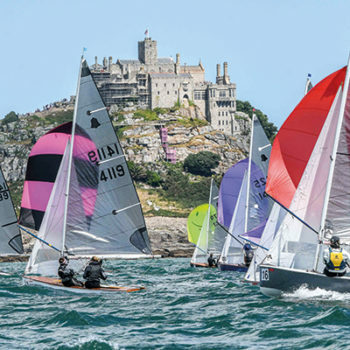 The regatta was not without its challenges, with a super windy opening four races and gear failure part way through, and stiff competition from fellow Brits, notably Neale Jones and Ed FitzGerald. 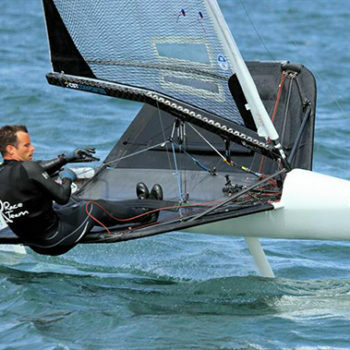 Victory in the International Moth class usually falls to professional sailors – Olympians and America’s Cup alumni – so when Dave Hivey won the Moth European Championships from a fleet of 65 in Borstahusen, Sweden, some very well-deserved congratulations flooded in. Hivey has a full time teaching job but is renowned for his dedication and persistence in improving boat speed and training as hard as the professionals whenever possible. He counted all top-three results from the 14 gruelling races. 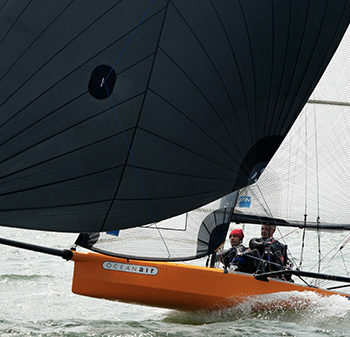 Giles Peckham’s Dauntless won the Daring class at Lendy Cowes Week with a day to spare counting wins in seven out of the eight races. Peckham, racing with his wife Jane, Milo Carver and Richard Romer-Lee is no stranger to Cowes Week success after competing in the regatta more than 30 times, but this year, Peckham’s team’s impeccable performance also saw Dauntless declared overall winner of Lendy Cowes Week. It topped off a successful season for Peckham, who also lifted the winner’s trophy in a competitive Daring fleet at this year’s Cowes Classics Week. Mike Senior and Chris White from South Staffs SC claimed the Gul GP14 World Championship at Mount’s Bay SC in Cornwall in a hugely competitive 119-boat fleet. The pair are long-time campaigners in the class, having finished fifth at the last Worlds, and known for their tactical prowess. After only just qualifying for the Platinum fleet, they went from strength to strength, climbing into the leader’s spot on the penultimate day. It was a feat made all the more impressive considering they were sailing a 23 year old home-built boat. 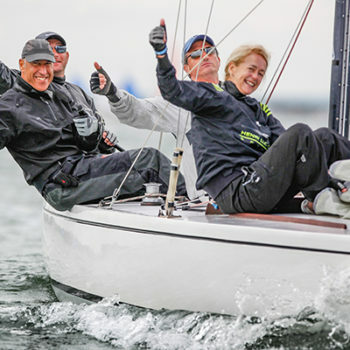 RS200 sailor Maria Stanley became the first female helm to win an adult fleet at a UK RS national championship since the RS classes were first established 25 years ago. Together with crew Rob Henderson, she showed a strong pedigree with an excellent string of results throughout the week-long championship, which was part of the RS Games held at Weymouth and Portland National Sailing Academy. The RS200 fleet saw the biggest adult fleet, with 116 boats contesting the title. 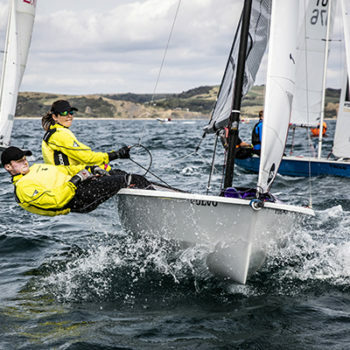 2018 saw visually impaired sailors Lucy Hodges MBE and Liam Cattermole crowned three-time World Match Racing Champions, joined at the helm this year by Sharon Grennan, who is a completely blind sailor with a highly successful track record in the B1 division at the Blind Fleet Racing Championships. 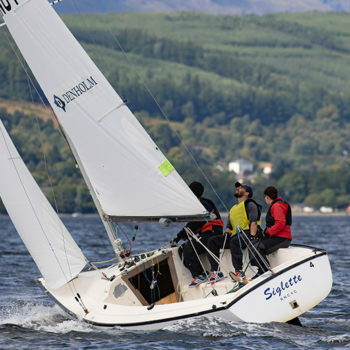 The trio went undefeated over five days of racing hosted by Royal Northern and Clyde Yacht Club in conjunction with World Sailing. The event drew teams from as far a field as Australia, Canada and the US, and was visited by club patron HRH The Princess Royal.